Insulating your home or office building is the only way to make sure you are living in a more comfortable and energy efficient environment. 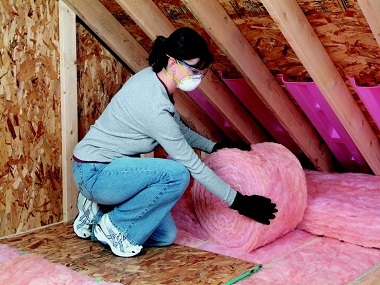 Insulation is the only way to increase energy efficiency and reduce your power consumption. You need to do a few energy upgrades on your commercial or residential building in order to achieve an energy efficient status. When it comes to installing insulation, always make sure you choose an installer that knows what they doing. There are many installers that have been insulating and make more homes energy efficient for many years and know exactly what they are doing. Remember, just because you can find someone who will do some insulation work for you at a cheaper price, isn’t a good thing. Companies that have been working with insulation for many years will always be a little more expensive, but this way you know you are getting the job done properly. You will find that all homes are different, and there are different forms of insulation on the market to compensate for this. All houses need to be checked properly before insulation is installed. Say for example you have a very hot house and decide to install glasswool insulation to combat the heat problem. If your house has windows that get direct sunlight during the day, and you don’t have anything to block the heat out, you could create a reverse effect. The ceiling insulation will block out the heat that comes down through the ceiling boards but it will create a winter effect by trapping the hot air that comes in through your windows. This, in turn, will actually make your home or office even hotter. In situations like this, you should use solar shield window tinting on your windows. By using ceiling insulation in your roof and solar film on your windows you would have solved 90% of the heat gain and loss issues you are encountering. Insulation that comes in roll form is generally better to have installed in your ceiling. The R-values of bulk ceiling insulation like think pink aerolite, isotherm, cellulose fibre or knauf insulation are very similar but there are more benefits to roll form insulation. For example, cellulose fibre is loose fill newspaper insulation. It has been treated with many chemicals to make it fire retardant which is harmful to anyone or anything that might ingest it or come in contact with it. Fibreglass and polyester insulation, contain no harmful chemicals or additives to force a fire retardant status. Insulation that comes in roll form maintains its thickness. It does not compress after a couple of weeks like cellulose fiber does. 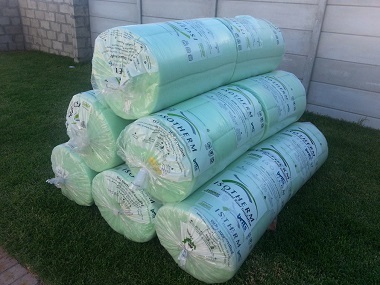 If you install 100mm fiberglass or polyester insulation, the product will stay 100mm and last for a very long time. Another important factor is wind. Cellulose fiber insulation is loose fill material, small little bits of treated newspaper spread throughout your ceiling. If the wind picks up, it could blow the small loose pieces around in your roof, and that will change the thickness of the insulation throughout your home or building. Some areas might end up with 200mm thick insulation while other will have 30mm or even none if the wind is particularly strong in your area. This could be very dangerous if you have many down lights in your building because if any of the pieces blow over and cover the down lights it could cause a fire.